Team Gaji announced on their Twitter account on Friday that they will be launching a new GL webtoon series in April. The title of the new series is roughly translated as “Pet Aesthetics” and will be released in another platform called Bomtoon. The characters featured above are actually the same characters that made a cameo appearance in the early releases of What Does The Fox Say that dated back 2015. Team Gaji announced previously on Twitter that What Does The Fox Say is cancelled due to a series of unfair treatment from its previous webtoon publisher, Lezhin Comics. The artist did mention previously that “a last chapter” might be released but so far no new chapter has been published in the Lezhin comics website. It feels nice to know that Team Gaji has decided to get into a new series. Maybe this will be another webtoon worth watching out for. That is due to the contract restrains, it needs to expire before they can even use it in another company. 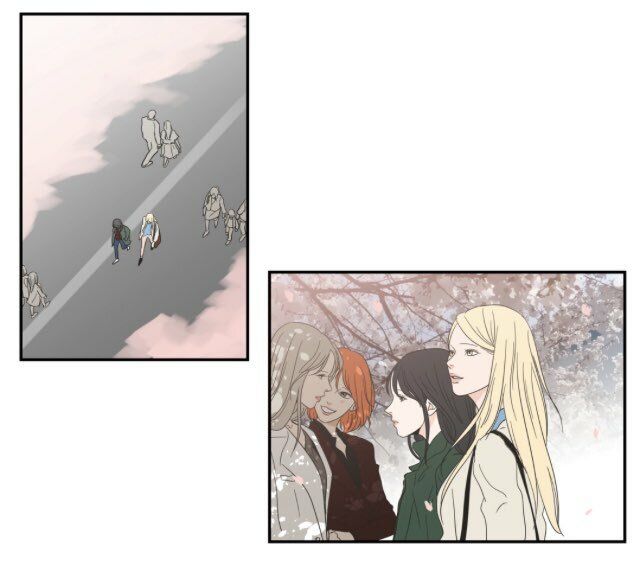 The manhwa is alrady finished. They just showed us Sumin and Seju´s past, and Seju´s new life.. I´m sure they will resume these extra stories when the contract ends. The same with ´On A Leash´: the author announced she will likely continue the story when the contract ends. So all we have to do is wait. Sorry,where i can read pets aesthetic in english,in which comic app? can wait!!! so exited! where i can read this?